Learning to drive is one of life’s most useful experiences, it opens the road to endless possibilities to explore and travel. At 1st 4 Driving we offer excellent learner driving lessons, which gives our students independence on the road. Our specialist instructors cater each learner driving lesson package to each individual student’s needs. Our expert instructors at 1st 4 Driving take pride in the success of our students providing ongoing support throughout your learning experience and beyond. Our trained instructors will teach you everything you need to know to keep safe and in control of the vehicle during your lessons. Along with the wide range of manoeuvres and other skills involved in building your confidence of being behind the wheel. Our experienced team of instructors will make you feel comfortable during all of your lessons regardless of your skill level and provide specialist individual support while on your way to gaining a full UK driving licence. At 1st 4 Driving we believe that refresher driving lessons are extremely beneficial to all kinds of people, there is always room to learn and improve in everything that we do in life. The benefits of taking a refresher driving lesson can be one of the main reasons people choose to revamp their skills. When driving efficiently you can reduce the wear and tear on your vehicle which ultimately will reduce costs. Poor driving can lead to damaging your engine, clutch, gears or even your tyres. Many people find when their skills become a little sloppy, they lose confidence on the road. In order to avoid any accidents many people choose to use our refresher driving lessons in order to boost their confidence and safety on the road. Our expert team of instructors will cater each refresher driving lesson to suit your individual needs. Here at 1st 4 Driving our specialist team of trained instructors can provide you with an exclusive package of learning experiences to support your progression through our advanced driving lessons. Advanced driving lessons offer a wide range of advantages that will help you practically and financially. As well as increasing your driving capabilities and road confidence, you will also be eligible for cheaper car insurance as most companies offer discounts for certified advanced drivers. With advanced driving lessons you can expand your driving skills to suit your own personal needs. With your own personal qualified instructor, you will be guided through learning advanced road awareness, along with career changing skills such as training to become a driving instructor and many other successful career related skills. Our team of specialist driving instructors at 1st 4 Driving take pride in their student’s achievements, contact us today to discuss how we can cater to your individual needs. Pass plus driving lessons are becoming increasingly popular at 1st 4 Driving, particularly with newly passed drivers, as it increases their road confidence and range of skills. It is required to reach a specific standard in a range of six modules to gain a pass plus certificate ranging from practical experience on rural roads, dual carriage ways and motor ways, as well as opportunities to pick up expert advice and other experienced skills along the way. 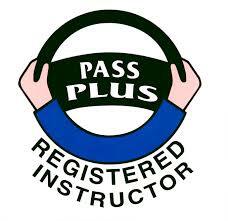 Pass Plus Driving Lessons tend to last 6 hours, including at least 5.5 hours of practical based learning. Some material may need to be theory based, depending on local conditions. At the end of your pass plus driving lesson your trained instructor will provide you with a signed training report which needs to be sent to the DVLA to receive your pass plus certificate. The pass plus certificate will enable you to receive a discount on your car insurance. Our team of registered (ADI) instructors here at 1st 4 Driving, will be able to provide you with the very best practical experience and advice during your pass plus driving lessons. Intensive driving courses cover all the regular material needed to gain a full UK driving license however intensive driving lessons are taken over a much shorter period of time, usually around a week, sometimes up to a couple of months. Our experienced team of driving instructors will arrange a package of learning to suit your individual needs. Pupils who opt for intensive driving lessons usually prefer to learn in a fast paced manor, or require their full UK driving licence in a short period of time. 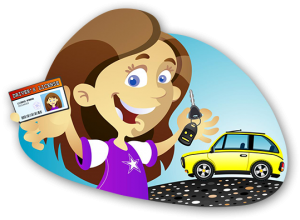 Your personal instructor will create your own intensive learning plan and support you on your journey through intensive driving lessons. Our experienced team of instructors will provide you with all the knowledge and practical experience you need, regardless of your skill level, and support you each step of your progression to gaining a full UK driving licence. Motorways can be extremely daunting even to the most experienced driver, however they are also extremely useful for travelling long journeys, quickly and efficiently. That is why our team of specialist instructors at 1st 4 Driving can offer you a superb package of material that will boost your knowledge, skills and confidence on the motorways. When driving on the roads in the UK the motorways can be said to be one of the major places that cause annoyance, fear, anger and even danger to many drivers. Many people are choosing to take our motorway driving lessons because our qualified instructors provide all our pupils with hands on experience on the motorway. Our motorway driving lessons will increase your road confidence and skills, in order to keep yourself and others safe while on the road. A growing number of drivers in the UK are coming to us at 1st 4 driving to complete UK familiarisation driving lessons. These lessons will introduce unfamiliar drivers to the rules and regulations of the roads in the UK. Each pupil will receive expert training that will provide them with wide range of knowledge and skills ranging from highway code and laws, understanding of road signs and markings. As well as covering junctions, traffic lights and pedestrian crossings, our UK Familiarisation driving lessons will provide each of our pupils with essential knowledge and practical experience which will increase safety and confidence when navigating and reacting at roundabouts and junctions. Our specialist instructors will provide you with all the skills you need to safely drive on UK roads regardless of whether you have ever driven on them before. 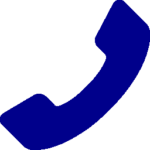 Call us today to discuss your individual needs and begin your journey to becoming a safe and confident driver on UK roads.